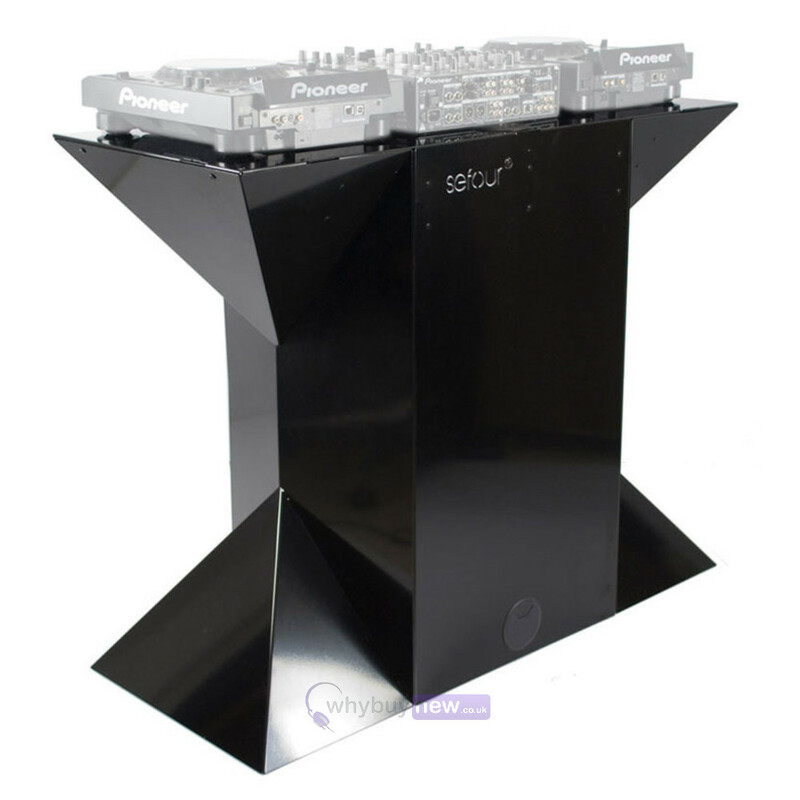 The Sefour X90 Digital DJ Stand is a superior quality all-metal DJ stand, featuring a sleek geometric design and gloss black finish. 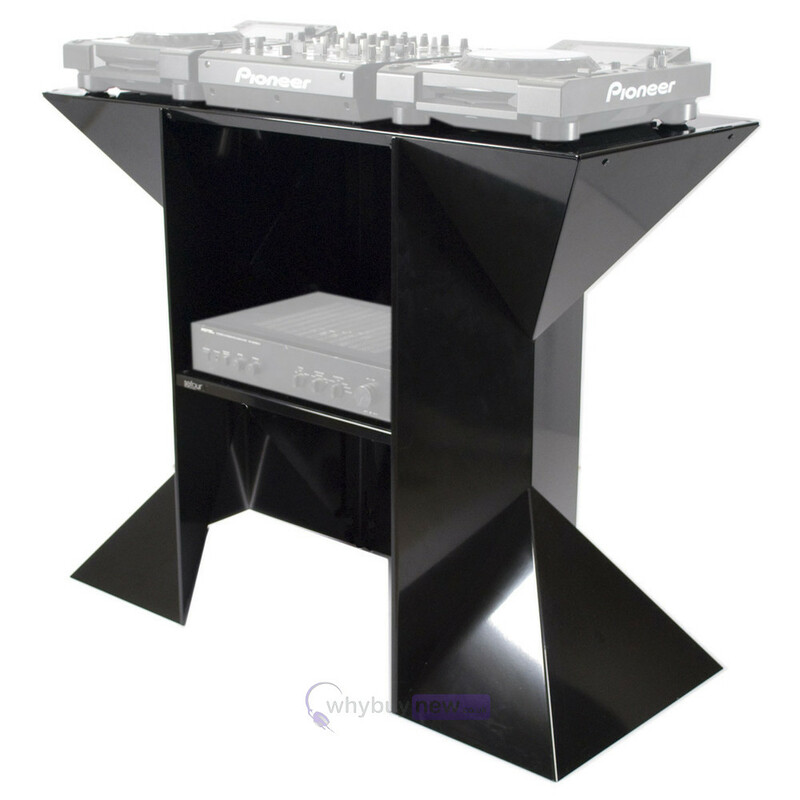 Made with optimum functionality as well as style in mind, this compact stand is ideally suited to modern electronic music controllers but will also accommodate turntables in their sideways position, plus there is an additional shelf for housing extra equipment such as industry standard sized amplifiers. For convenience, there is also very little assembly required - it can be set up in 10 minutes using 10 bolts. Designed to be take centre stage in your set up. All Metal - Incredible perfect geometry design. Attention to detail at every point. The quality is equivalent to the finest furniture available and propels the Sefour brand to join the leading product design companies around the world. Every dimension of the X90 has been designed in house with the sole purpose of producing the best DJ stand in the world. The Compact design is aimed at the latest electronic music controllers. 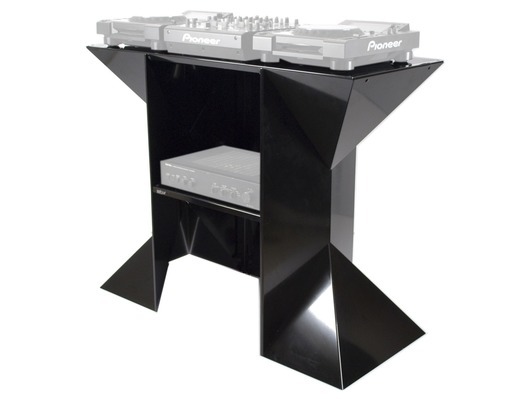 However the stand can also accommodate turntables in the sideways position. Shelf for extra equipment - Designed to accommodate industry standard sized amps etc. Virtually seamless design - constructed to highest possible standards. Assembled with just 10 bolts in 10 minutes i.e. Most of the product is already built on delivery with just a small amount of assembly required. Cable ports in top and rear panel. Designed by Sefour ® in London - Made in Europe.